Safety devices are very important in our everyday life. Many accidents happen every single day and proper use of safety restraints have saved many lives. It is important to recognize the importance of wearing one. But also the importance of the proper use of seat belts. Seat belts were first required by federal law, under Title 49 of the United States Code, Chapter 301, Motor Vehicle Safety Standard, on January 1st, 1968. This law required all vehicles, except for buses, to be equipped with seat belts in each designated seating position. To help create awareness on the importance of wearing seat belts, the State of Texas introduced the Click it, or Ticket program. 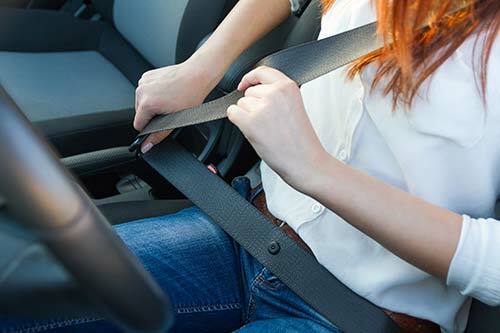 In 2014, according to the National Highway Traffic Safety Administration (NHTSA), there were 9,385 fatalities on US roads due to unbuckled passenger vehicle occupants. Between 2010 and 2014, 63,000 lives were saved in vehicle accidents, because they were using a seat belt restraint device. Seat belts save lives. To reinforce this fact, the State of Texas will often place digital road signs along busy highways and roads that remind drivers that wearing a seat belt is the law, and show statistics of drivers killed in vehicular accidents on Texas roads. Passengers in a vehicle who are not wearing a seat belt can become projectiles during an accident. Unbuckled passengers can very easily be ejected through the front, rear or side windows, resulting in death. Passengers in the rear seat of an automobile who use both lap and should safety belts are 44% more likely to survive in crash. The percentage increases to 73% for rear seat passengers in Vans or SUV vehicles. Texans die every day in vehicle accidents. In 2015, of the 3,518 automobile accidents reported across the state, 2,369 of those accidents resulted in a fatality or serious bodily harm. Trucks are not immune. In 2015, 467 fatalities were reported of drivers of pickup trucks. Of those reported fatalities, 216 were not wearing a seat belt device. Wearing a seat belt prevents passenger ejection during a severe accident that involves a rollover. The chances of surviving this type of accident increases 45% when wearing a proper safety restraint device. In pickup trucks, that number increases to 60%. In Texas, all children young than 8 years old, unless the child is taller than 4’9″ tall, are required by law to be in an appropriate child safety seat system when riding in a passenger vehicle. The child safety seat must be installed according to manufacturer instructions and recommendations. 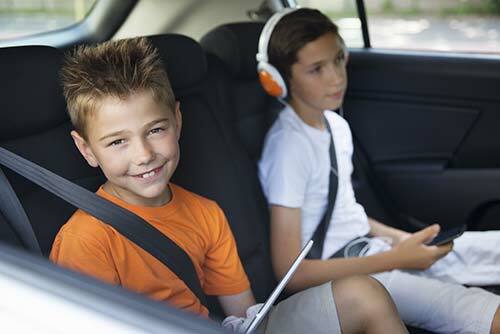 Children who are 8 years or older, regardless of their height or weight, may use factory installed adult seat belt. However, studies show that children under 4’9″ are safer in a child seat, until they can properly fit the standard automobile seat belt. 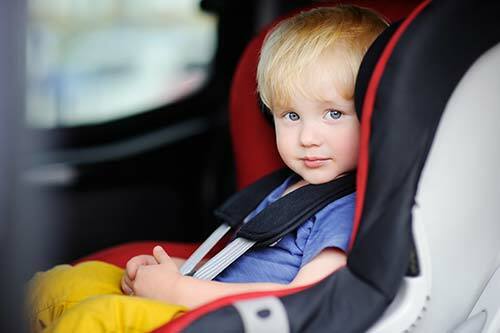 Texas law does not mandate where a child may ride in a vehicle, however, it does require that all child safety seats must be installed according to the seat manufacturer’s owners manual. Rear-facing infant seats are prohibited from use in the front seat of any vehicle with a passenger air bag, unless the vehicle is equipped with a manual “off” air bag switch. In general, children under the age of 12 are always safer when they ride in the rear seat of a passenger vehicle with a properly installed child safety seat system. All infant or child passenger restraint systems must meet or exceed federal standards for crash-tested restraint systems as set by the National Highway Traffic Safety Administration.